We wanted to take a minute, and turn our focus to Doncaster, Australia. Why Doncaster, Australia? On April 14, the Templestowe Flat Track Racers will attempt to set not one, but two world records. The first record is for “Greatest distance by a radio-controlled model car on one set of batteries“. David Stevens will attempt to break the record of 23.726km that was set in 2009 in France at a slow speed over more than 24 hours. 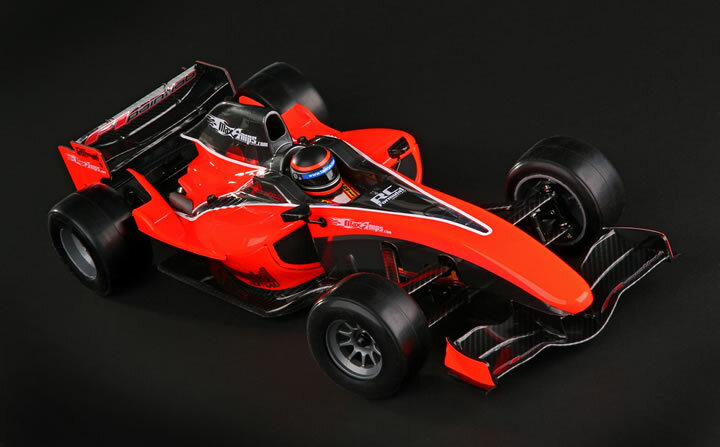 Mr. Stevens will be using a Tamiya F104 v2 F1 car. Rumor has it, he hopes to beat the record by at least one hour. They will also be trying to set an unofficial record for “The most F1 cars in a race where anyone with an F1 can join in“. The current documented record appears to have been set last year in the Philippines, with 25 cars on the track. The crew “Down Under” hope to put 35 F1 cars on the track. This sounds like a great time, we wish David Stevens, and the rest of the record challengers the best of luck. The event will be hosted by the Templestowe Flat Track Racers, and start at 8am at the Templestowe Flat Track. Just in case you were in the area. Here we have video of the 25 F1 cars on the track in the Philippines. This is great Stuff.